Server Support & Maintenance | Adams Network Inc.
Servers are one of the most critical devices on a network. In an age where uptime can make or break your business, it pays to be prepared. At Adams Network Services Tampa, we train our server technicians and engineers in server repair, maintenance, and administration. With this knowledge, we are able to support network servers from all manufactures, including: Dell, IBM and HP. All of our systems engineers have at least 5 years of hands-on experience planning, analyzing, designing, recovering, implementing, maintaining, and supporting all types of network servers. 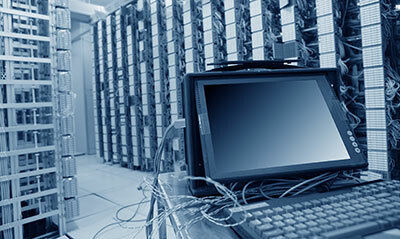 Here are some of the many server maintenance services we perform all over the Tampa Bay area: server configuration, server migrations, network server integration, file server installation & support, print server installation & support, SQL server installation & support, as well as email & Microsoft Exchange server installation & support.